The sport of triathlon can be quite addictive: training, competing and whether someone reaches their goal of simply finishing the race or occupying a spot on the podium, the addiction only intensifies. Here are a few tips for your triathlon checklist to ensure you're preparing correctly, making sure that the start to your season, or the completion of your first race is a huge success. Fuel your body and mind properly - It all starts with nutrition. Make sure to eat a lean and clean, consistent, disciplined diet, ensuring that you're always fueling consistently to avoid the highs and lows of improper nutrition while training or competing. Hydration is also very critical to transport those macronutrients (proteins, fats and both simple and complex carbohydrates) pre and post training/competition, as well as while training and competing. Knowing your body and it's nutritional demands will also allow you to fuel properly during triathlon training or racing as well. Make sure to take in a minimum of 8-12oz of water and at least 100-200 calories per hour. 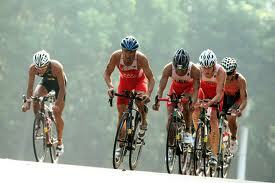 Race/training distances will obviously determine how much of a quantity in race fuel you'll need. 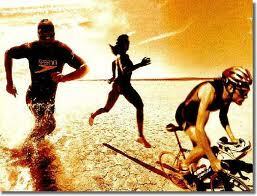 Train smart - Putting in quality miles and quality triathlon training sessions are of the utmost importance. Too many times, seasoned and beginner triathletes alike can get caught up in swimming, biking and running what we call "trash miles". Trash miles are miles when you're simply going through the motions rather than making the workout count. Instead of training just to train, train with some specificity. For instance, if you are really trying to improve your times in a any of the three sports of triathlon, throw some intervals into your training regimen. The total mileage may be shorter in the interval workouts, but the quality of those miles will be a lot better than just going to train for a certain number of miles. Train for the specifics of the race course - Functional triathlon training for your races is essential to ensure your body, and mind, are ready for the course. 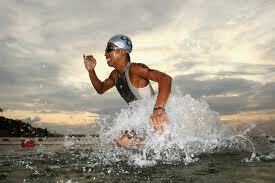 For example, if it's an open water and/or wetsuit swim, try swimming open water and/or with a wetsuit. If it’s a hilly bike or run, ride or run some hills. This will ensure that you are physiologically ready for your event(s). Listen to your body - Too many triathletes over train consistently and there's a fine line between overtraining and not training enough. We get it in our mind that no matter how we feel, we should continue to push through being overly fatigued just to get our mileage in for the week. Put your body first. If your body is telling you to take an off day, take it. Your performance will be better because of it. Our body adapts to our training when we rest, so if we never give our bodies a chance to rest, our bodies will not positively adapt to our training. 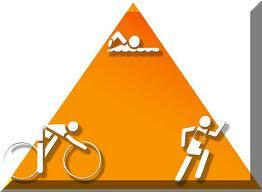 Make sure to plan recovery work, and recovery days - Triathlon training schedules are very important to follow. We all need to schedule some recovery time for our bodies as much as we push ourselves. Some key treatments to help you recover include: massage, cold and hot tub contrast therapy, Epsom salt baths, massage and adequate REST and SLEEP. Make sure to schedule a "day off" as well. If you absolutely have to do something, do some light/gentle yoga and light core work. Make sure you go over your pre-race triathlon checklist - Here are the essentials for racing: get body marked before the race, get your timing chip (when applicable), swim cap (provided by race directors/officials), goggles, earplugs (if you use them), race belt, number on bike, bike helmet, bike shoes, bike (yes, some people leave the house in a hurry without it), fuel for your race, water/drink of choice and water bottles, run shoes, hat or visor (if you use it on runs), sunglasses (if you use them), and a gps watch (if you have/use one). As the season rapidly approaches, triathlon training and proper preparation will ensure that the little things are carried out so that all the big things fall into place for you. 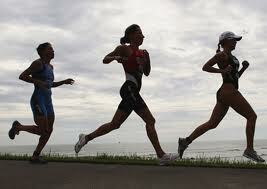 Train smart, stay disciplined and consistent in your approach to training, nutrition and recovery. This will guarantee that you get the most out of your training and racing, and will reduce your chances for injury significantly. Most importantly, have fun and be safe! 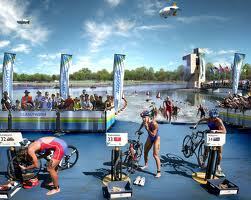 What are your thoughts on triathlons? 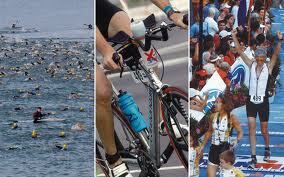 A triathlon is one of the most difficult races to train for and compete in. Your expertise and input is very important! Do you have a great story or any thoughts about this? Share it here!